By 1975, the site had generated sufficient interest among Canadians and abroad for it to be considered for the status of a National Historic Site of Canada. In preparation for this, further excavations took place from 1973 to 1976 under the direction of Parks Canada, the agency that manages all National Historic Sites and National Parks. Large areas outside the Norse structures were excavated, including a bog skirting the buildings. Worked wood and artifacts in a remarkably well preserved condition were found in the bog deposited in three layers. The middle layer was Norse; the ones below and above it contained wood worked with Aboriginal stone tools. Areas some distance away from the buildings were also excavated. Aboriginal tent floors and stone artifacts from several periods were found here. The oldest predated the Norse by several thousand years; the youngest were from the 13th and 14th centuries. All in all, more than 2000 artifacts were found during these excavations. Take a closer look at the site. Study the details. 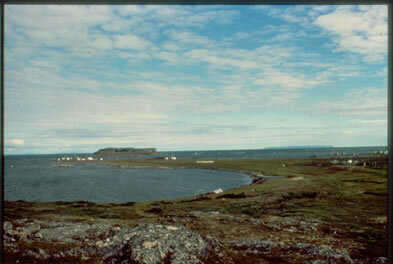 Was L’Anse aux Meadows one of the sites mentioned in the sagas? Was it Vinland?